Need a super-absorbent towel? Luxury sheets made of exotic-sounding cotton? When consumers feel like pampering themselves with home goods, they head to a Bed Bath & Beyond location. The retail chain with 1024 stores across the U.S., Canada, Puerto Rico, and Mexico was founded in 1971 with a focus on kitchen and bath amenities. Today, it’s probably best known as the store with a seemingly inexhaustible supply of 20 percent off coupons that blanket mailboxes and newspapers across the country. To get a better idea of what goes on between those stacks of infamously fake towels, Mental Floss reached out to three former employees of the chain. Here’s what they had to say about job perks, occupational hazards, and the grim consequences of accepting returns on used bedding. 1. They might give you the discount without the coupon. Many of the customers roaming a typical Bed Bath & Beyond location can be seen clutching the oversized 20-percent-off coupons sent to homes and email inboxes, which are good on most every single-item purchase. But sometimes, they might find themselves in the store without one of these valuable pieces of paper. According to Eric, who worked at a Bed Bath & Beyond in Ohio for four years, cashiers will typically take care of them anyway. 2. Bed Bath & Beyond employee see some pretty disgusting returns. Today, the store limits returns to items bought within the past year, though you could probably still get away with returning a food-encrusted frying pan. 3. They get to try products for a discount. 4. Bed Bath & Beyond employees can't tell you no. While Bed Bath & Beyond prides itself on one-on-one customer service, their reputation for being accessible to shoppers can sometimes come back to bite them. Annie worked at a Bed Bath & Beyond in the northwest region for eight years and says that people often went everywhere, even off-limits areas, in search of assistance. “It was more common than you would expect to have customers push through our doors marked ‘Employees Only’ and search the stockroom looking for an employee,” she says. 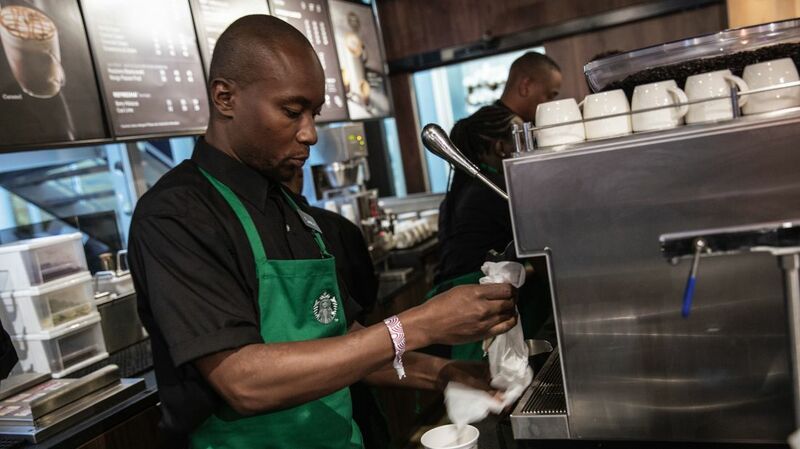 “If I could say anything to customers, it would be to please do not do that." Bed Bath’s store layout maximizes their real estate footprint by stocking and stacking items a dozen or more feet in the air. Part inventory and part decoration, these shelves clearly aren’t meant to be areas for self-service, but Annie still watched as patrons treated the fixtures like a jungle gym. “People were typically pretty good at asking for help if they needed it, but I did catch a handful of people not only climbing shelves but unstrapping our ladders and using them themselves even though there were always signs and stickers prohibiting them from doing so.” Anne would also spot parents letting small children climb on ladders. Needless to say, this is never recommended behavior. 7. ... And stealing small parts. 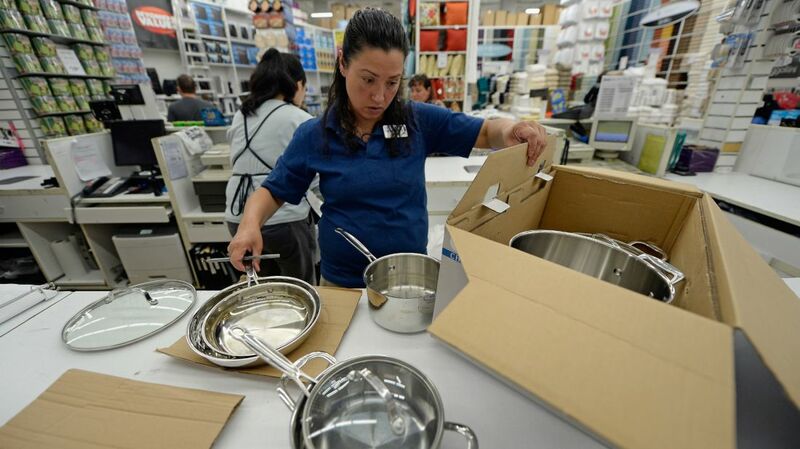 Because Bed Bath & Beyond uses actual small appliances as display models and not mock-up fakes like some stores, customers will sometimes swipe a little part they need from the shelf. That might be why you notice that Keurig coffeemaker missing its tray. “Occasionally, people would steal pieces from our kitchen electronic displays since we didn’t sell parts individually and our displays were typically actual working models,” Annie says. 8. Don't bother trying to scam them with your refund. Bed Bath & Beyond's generous return policy has sometimes allowed consumers to profit. “People started to take so much advantage of using coupons and then returning an item without a receipt for full price that the company finally had to implement a policy where any non-receipted return had 20 percent automatically deducted from it,” Annie says. 9. Towels are the bane of their existence. 10. There can be blood. While not quite as grisly as an emergency room, employees at Bed Bath might still occasionally see something gruesome. “I cleaned up plenty of blood from people stabbing themselves trying to rip security tags off goods in the bathroom so they can steal them,” Eric says. 11. They're not fooled by your counterfeit coupons. 12. The “Beyond” isn't in the store. Employees frequently get asked where the “Beyond” of Bed Bath & Beyond is. “There is no ‘Beyond’ section,” Regina says. “The back room is just overstock.” The “Beyond” refers to an assortment of goods that are available via special order and not stocked in stores, like made-to-order furniture and personalized gifts.